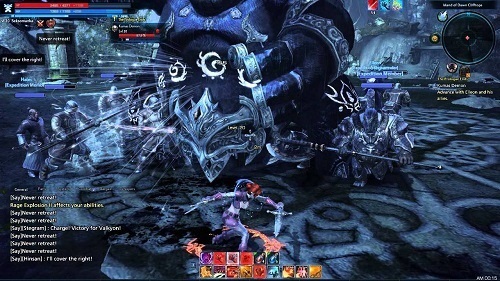 TERA offers a 3D fantasy inspired MMORPG with a focus on action based combat that puts it well ahead of most other games on the market. 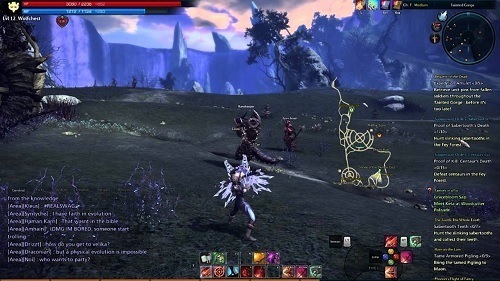 TERA (or The Exiled Realm of Arborea) started in early 2011 in the Asian MMO market with a western release in May of 2012. Since 2013 TERA Online has rebranded itself as TERA Rising and has a adopted a freemium model. TERA has all the MMO features that you’ve come to love including a vast number of quests, plenty of character customisation, skill depth and a crafting system. PvP is also available and has clearly received a lot of attention which definitely has PvP fans covered in terms of content. Where TERA really shines though is its real time combat system which does away with many of the automatic features of other MMORPG experiences. Instead of simply selecting enemies to attack players will have to actively target enemies with their cross-hair while also dodging enemy attacks. This makes the game a much more skill focused experience with careful timing of attacks and dodges allowing you to defeat enemies that you would easily lose to in a traditional MMO. TERA is definitely not shy on offering a good number of customisation options with seven very varied races to choose from and then combining this with eight class options. All of your favourite classes are there from the ranged archer, brutal berserker, the healing priest and many other standard archetypes. Dungeons make up the majority of the game and are known as instances (like most games) and are designed for groups of 5 players to complete but those wanting an extra challenge can always tackle them with less or even solo. Overall TERA has plenty of fresh features and since the shift to a freemium model there is no excuse for MMO fans not to try this great experience. Turned free to play in 2013. Large number of races and classes to mix together. Easy to use trade broker (auction house). Plenty of PvP options for fans of player killing.